On February 2, 2019 John R. Halliburton, loving husband, father of three children and grandfather of three grandchildren, passed away at the age of 84. John was born on July 31, 1934 in Shreveport, LA to Ralph Eloe and Mary Katherine (Smith). He married Julia Ella Bateman, on December 17, 1955. Married for 63 years, John and Julia raised three children, Cherie Ann (Ralph Meyer), John Robert Halliburton II (Leigh Anne) and Rhonda Marie. John earned a BS degree in Math at Centenary College, 1955 and his law degree LLB/JD from Southern Methodist University in 1964 in addition LLM/JD in International Law at George Washington University in 1974. John was a member of the Texas State Bar (1964) for 55 years and admitted to the D.C. Bar in 1972, U.S. Supreme Court in 1967. Halliburton was appointed Assistant U.S. Attorney to the Western District of Louisiana in 1981 to retirement in 2003. During his professional career, John was employed with Collins Radio in Richardson, Texas and with the merge of Collins Radio Limitada/Rockwell International in Arlington, Virginia and then relocating to Brazil as V. P./ General Manager for Rockwell International in 1974. After returning to the United States, Halliburton chose Rockwall, Texas as home for his family and he contributed greatly locally in many civic affairs. John R. Halliburton was an author of many legal reports, composer, lyricist, member PAC good government committee, member master planning committee for Rockwall County, Texas 2011, 1st Lt. US Army, 1955-59. Recipient Academic Affairs achievement award as a faculty member of The University of Phoenix, Dallas, 2012. Fellow of The State Bar of Texas, Rockwall County Bar Assn. (charter member, CLE lecturer. 1981-87) and so many other numerous awards and committee appointments, and Pro Bono work to list. John had a passion for music, especially being a professional trombonist with The Tommy Dorsey Band and Stan Kenton as a young man. He was a gifted published composer, and known for writing many poems and personal sentiments for his family’s birthday celebrations and anniversaries to his wife. John’s spiritual life and faith in God began as a young alter boy at St. Johns in Shreveport, Louisiana and continued on as a 4th degree Knight of Columbus. 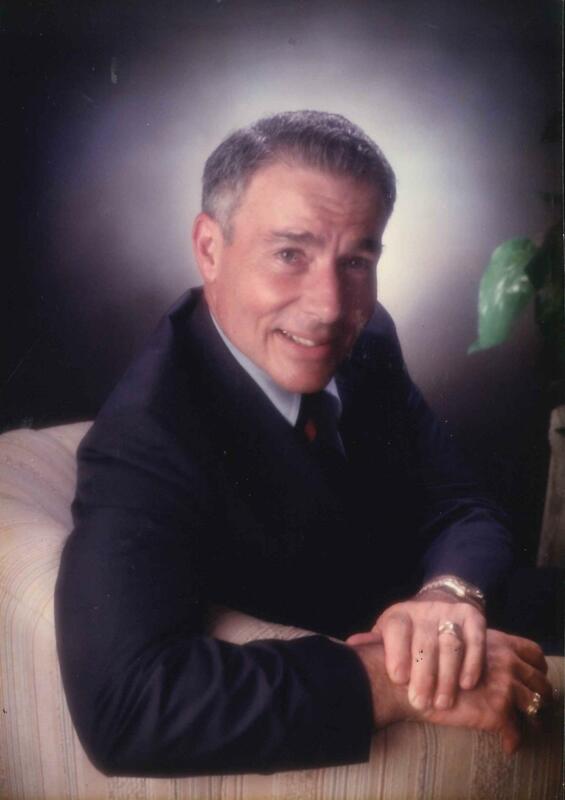 Most important to John was his devotion and love for his family and often delighting in attending grandchildren’s athletic events, piano recitals, swim meets and caring for their safety. At the end of every phone call “Pap” would say “and with all of that, I love you and I am signing off”. Julia, I met John many years ago when I was working for a lawfirm in New Orleans and met you when I moved to Rockwall in 1984; he was a brilliant attorney and genuinely nice man. I am so sorry for your loss. My thoughts and prayers are with you and your family. Please accept our deepest sympathy for your loss. Jack was a great friend and mentor in my earliest days at Collins Radio. And in later years, he counseled me in law practice and shared innumerable stories of his trial work and experiences traveling this region as U.S. Attorney. He lived an amazing life and will be sorely missed. Julia, I am so sorry to learn of Jack's passing. You are all in my prayers. Julia,I want to express my sympathies to you and your family. I know we haven't seen much of our Texas cousins recently, but you are in our hearts and thoughts at this time. I am deeply sorry for your loss of such a precious loved one. Please find comfort in knowing that Jehovah hates death; he views it as an enemy. (1 Corinthians 15:26) He has a longing to conquer that enemy, to undo death by means of the resurrection. He yearns to bring back those who are in his memory and to see them live on earth again.​—Job 14:14, 15. Mr. Halliburton and family were always so good to me. Took me into their home back in the day. I will always be grateful of the kindness extended to me. My deepest sympathy. in his career and civil work and most importantly and large loving family that will miss him greatly, Our hearts are saddened for your loss. Your family is in our prayers during this diifcult time. Jack was always a pleasure to be around - I know he will be deeply missed. His career and civic accomplishments and his large loving family are a testament to him. Our thoughts are with you all. My heart fills. Jack leaves the world a better place. A man of the highest intelligence and honor, he was,moreover, generous and sensitive to the needs of othrers, He made it a better place for all of us. Please accept my deepest condolences and love. Very sorry for your loss. Jack was a good man who invariably gave me and my family such wonderful compliments when he himself had so many remarkable accomplishments. I remember him as always upbeat, joyful, and full of fun. I know we will all especially miss that mischievous twinkle in his eye and his positive encouragement.